San Francisco is chock-a-block with interesting restaurants. You could be a few blocks away from a great little place you would love but not find it. Technology hasn’t evolved enough to match people with the places they are sure to enjoy. This is specially true of restaurant apps such as Yelp!, OpenTable or Zomato, all of who use crowd-sourced ratings to sort restaurants. 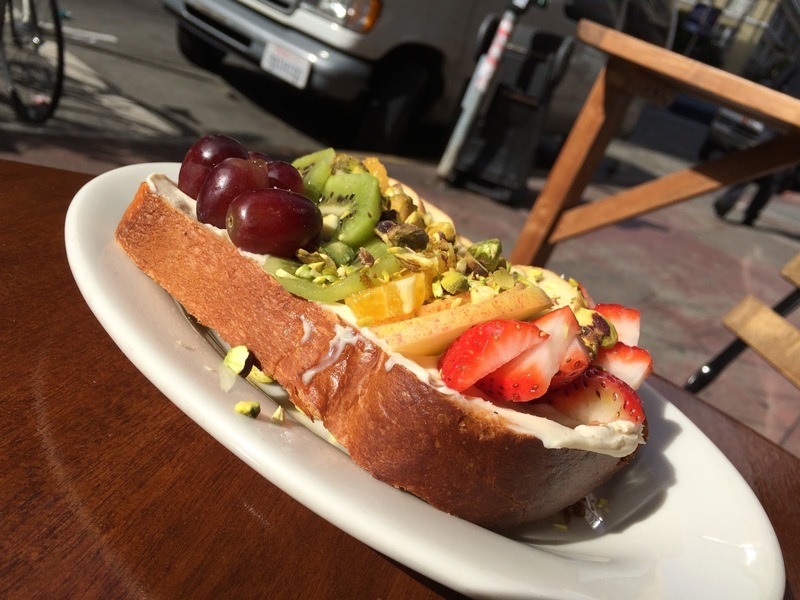 Food is a very a personal thing that everyone tends to rate differently. A lover of spicy food can find even a good French restaurant insipid and bland, but even if their taste buds did not vary, one may give a higher importance to atmosphere, price, and/or service quality than another. In a place like Singapore or downtown San Francisco where the density of restaurants is high, you will rarely discover a restaurant more than four blocks away since it gets buried under a dozen pages. 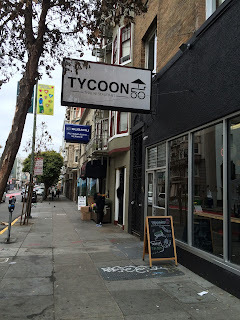 I thought I knew all the good places in and around the Union Square area. Yet, when I decided to stay at the Hilton Union Square this month for the first time, I immediately discovered new enchanting places worth writing about. The Hilton borders the infamous Tenderloin neighbourhood of San Francisco. Most tour guides you will warn of the drug dealers, addicts, prostitutes and mentally unstable that haunt this area during late evenings and night time. 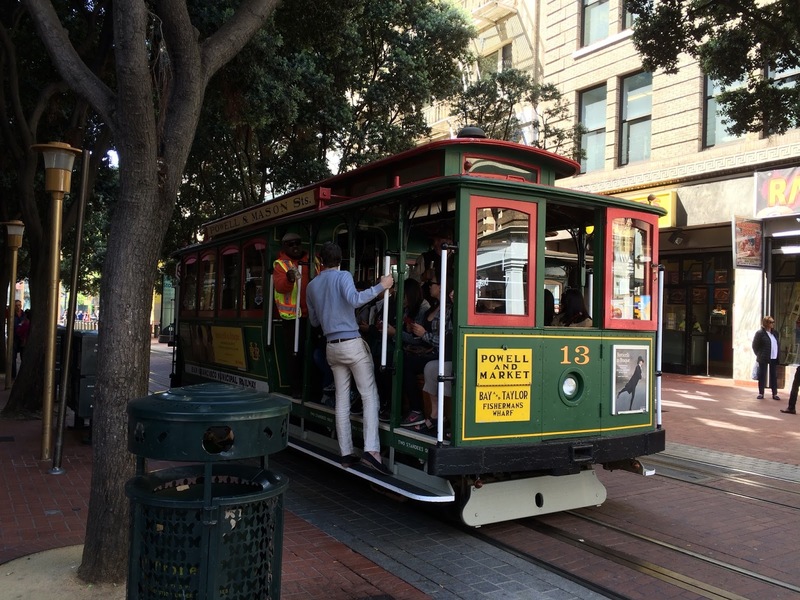 Yet strangely, walk only a block away and you are in posh Union Square and Nob Hill. I discovered this area now thrives at day time and there are several nice places worth visiting, especially during breakfast and lunch. The two I tried and liked are Tycoon Thai and farm:table. In spite of its rather strange name, Tycoon Thai is unique because of its Laos connection. Its authentic dishes from the Siamese region have been a big draw for foodies in the know. I ordered a gai satay and pad mee lao. 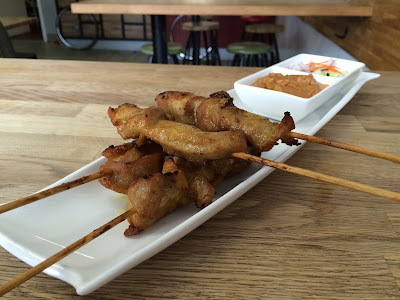 The chicken satay was made of chicken thighs marinated with coconut milk and turmeric before being grilled on skewers and served with peanut sauce. The succulent chunks of chicken with the perfectly smoky exteriors made for a uniquely delicious starter. The Pad Mee Lao is a Laotian version of pad thai made of small rice noodles with chicken, bean sprout, green onion and black bean sauce served with lettuce leaves on the side. 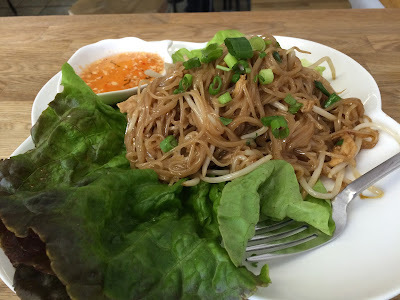 The idea is to fill the lettuce leaves with the noodles in a wrap before eating. It just loved it! The other restaurant I discovered is a breakfast place called farm:table. 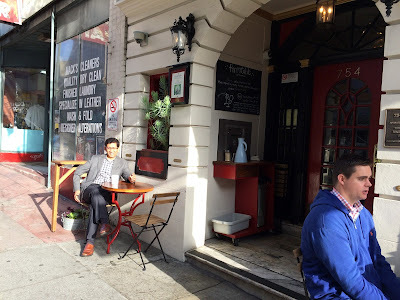 A tiny little place on Nob Hill, this place is a complete delight! 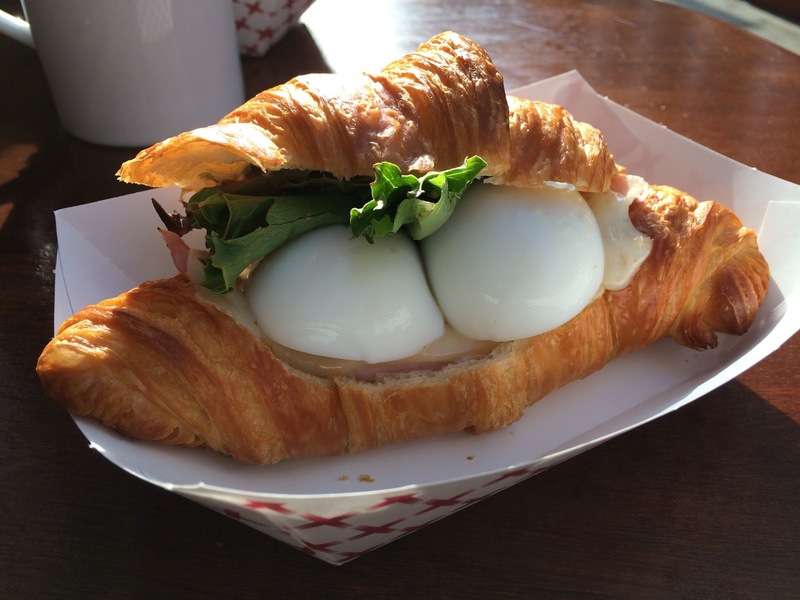 On one day I ordered the the croissant sandwich with eggs. That doesn’t sound like much, does it? 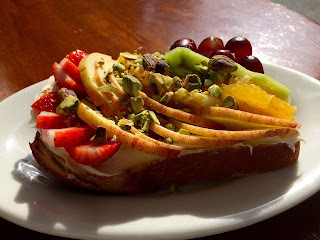 But it was good enough to draw me in and I was back trying their popular Daily Bread: a thick toast with mascarpone loaded with slices of fresh fruit, honey and garnished with nuts. Trust me, after that, you won’t want to eat breakfast anywhere else. Please note that this place is really tiny with only a few seats. However, the food more than makes up for everything else it lacks. I will be back here every time I am in the vicinity. Who knows what other desirable places are lurking, just out of your visible range? Time for a new generation of technology to help us foodies get to our destinations I guess.